TNT is the delivery company with the largest foothold in Europe. Established in 1946, by Ken Thomas, an ambitious Australian who only owned one truck, TNT quickly expanded into an international business that currently delivers to more than 200 countries. If you’re looking for a reliable shipment service that also offers package tracking services, you should definitely consider TNT, as it connects roughly 40 European countries, 550 depots and 19 road hubs. Among the services offered by TNT, we will mention Express delivery solutions such as domestic express delivery, same-day critical delivery, international express and other special services. The company’s official page is also home to some very useful tools, including the Transit Time and Price checkers, the booking tool, the TNT package tracking system, mobile services and eInvoicing and myTNT. Besides regular shipments, TNT is also renowned for its unrivaled automotive, high-tech, healthcare, SME and healthcare solutions. Today we would like to take a closer look at the company’s package tracking options to help you complete the shipment process easier. 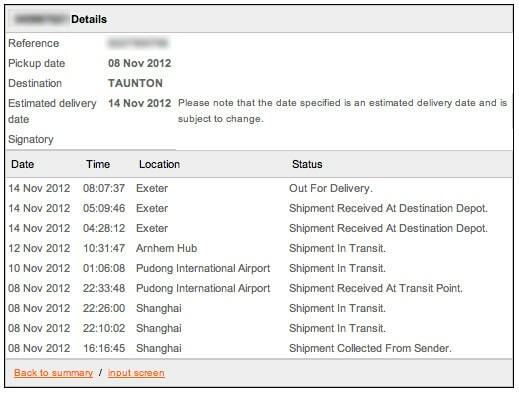 International package tracking: click on this link to access the international tracking tool. From this menu you can find out the location and status of your consignment. Simply type down your reference number and click on ‘track’. You can submit multiple numbers at the same type and set the tool to ‘remember numbers’. 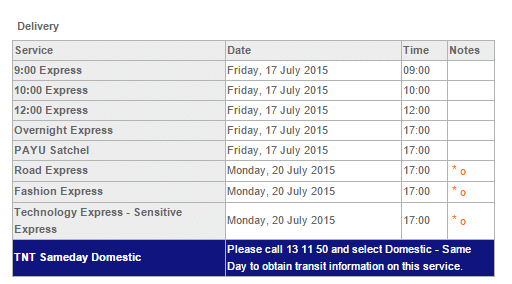 Domestic package tracking: can be tracked with the specific tool, which can be accessed here. You have two package tracking options here: type down up to 10 TNT domestic express consignment reference numbers, or use same-day local job numbers. Be reminded that tracking multiple packages at the same time can be done by submitting one reference number per line. myTNT account: the unique account is one of the best way to store addresses that you regularly use, check out shipping prices, set-up mail confirmations and complete TNT package tracking actions. From the personal dashboard navigate to “Track Shipments” and you will automatically see the status of all your current shipments. Access myTNT information here. Mobile tracking: use the company’s special designed technology to track packages on the go. Set-up your phone and you will receive a text or online message every time the status of your parcel changes. Pagetrackr: TNT consignments can also be checked from Pagetrackr. TNT has preset hours for delivery that depending on the time of day when you placed your order, and the delivery method you are using. The company’s shipment schedule is extremely flexible and there are a few options that you can choose from: delivery next day before 9AM, 10AM, 12PM, or same-day delivery. There is also an option for receiving packages on Saturday or for forwarding shipments overseas and in the United Kingdom. If you aren’t sure when your package will arrive, instead of utilizing the TNT package tracking features, you can give the Transit Times tool a spin. Simply write down your Suburb, State, Postcode and collection information down and you will receive a detailed list with estimated time of arrivals depending on the shipment option you decide on. TNT package tracking is simple and efficient. The individual tracking menu will be updated every-time the package is checked into a new location. You will see information such as Status of Shipment (examples: in Transit, collected from the sender, received at transit point etc. ), Location, Time and Date. Since you are interested in TNT package tracking options, you might also want to find out more about the company’s shipping packages. The most common delivery solutions include 9:00 AM Express, 10:00 AM Express, 12:00 PM Express, Fashion express, Road Express, PAYU satchel, sensitive/technology express, and same-day domestic. Shipment prices can be calculated from your TNT account, or from the Check a Price page. What can you do if the TNT Package Doesn’t Arrive on Time? Some parcels take longer to arrive. However, if too much time passes you are entitled to take action against the retailer or carrier. The first port of action would be, of course, the retailer. Visit the website from which you made the purchase and contact customer support. According to the Sale of Goods Act, packages must be delivered within a ‘reasonable time’. If this time has passed, under the Distance Selling Regulations, you can ask for a refund. If this doesn’t work, you should call TNT and inquire about the status of the package. Hey Buddy!, I found this information for you: "TNT Package Tracking Tips & Tricks". Here is the website link: https://all2door.com/tnt-package-tracking/. Thank you.